As the Mars is in 7th place by the start of the year, you will get benefits. As the Mars enters good place by this March, benefit continues. As the Sun is in 9th place, you will get ancestor assets. As the Venus is in good place, there will be happiness in the family. You will get happiness through your children. As the Raghu is in 4th place, you will get good job, foreign contact and other benefits. Working people will get benefits. As the Kethu is in 10th place, your business will be good. Your prestige, fame, value will increase in the society. There will be benefits financially in your job like promotion, increment, etc. As the Saturn is in 9th place, you will get benefits. You will get rid of the problems in ancestor assets and will get benefits. Your loan problems will get solved. Departed husband and wife will get united. There will be happiness and peace in the family. You will get rid of the problems faced so far (blocked income, delayed marriage) and happiness will increase. As the Jupiter is in 7th place, you will get all the expected benefits. You will get all the benefits in business, marriage, etc. you will get rid of blocked / delayed marriages, delayed engagement, obstacle in child birth and get all the good (auspicious function like marriage, engagement, childbirth). Your love will end in marriage. Your prestige, fame will increase in the society. Working people will get benefits. As the Jupiter enters 8th place on 11/10/2018, benefits will decrease. To get expected benefits you need to work more hard and face some troubles. Happiness in the family will decrease. Think twice before you do anything. 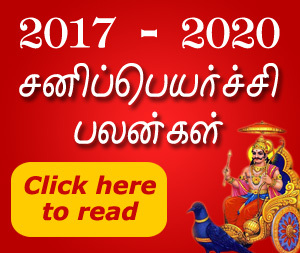 Due to last year transition of the Jupiter, the Saturn, the Raghu and the Kethu, this year will be more beneficial when compared with the last year. This year Jupiter transition will decrease your benefits. Women will be happy. This is the correct time to marry a good life partner. Students should reduce showing interest in entertainment to get success. In general this year of 2018 will be beneficial. Worship lord Shiva every day to get benefits. Worship Anjaneya on Thursdays to get benefits.